These beautiful dog breed portrait throw pillows will brighten any couch or bed. Striking portraits fill the entire space of this large 18 by 18 inch pillow. Each pillow is finished with thick cotton piping for a fancy, quality appearance. 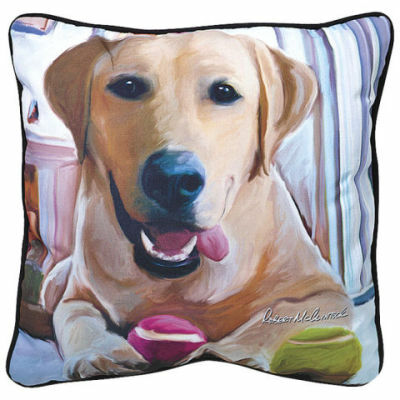 This pillow is available in fifteen breeds, inclduding Labrador, Dachshund, boxer, bulldog, and more. 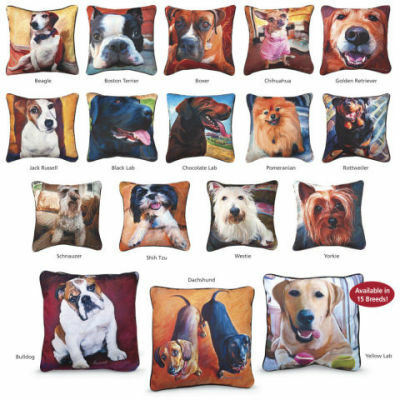 For more information on these great dog breed pillows, click here.